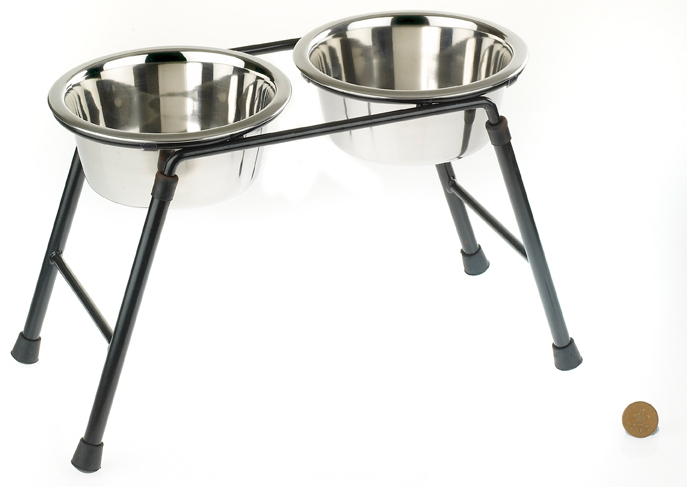 Range of single and twin feeder stands, all supplied with dishes included. 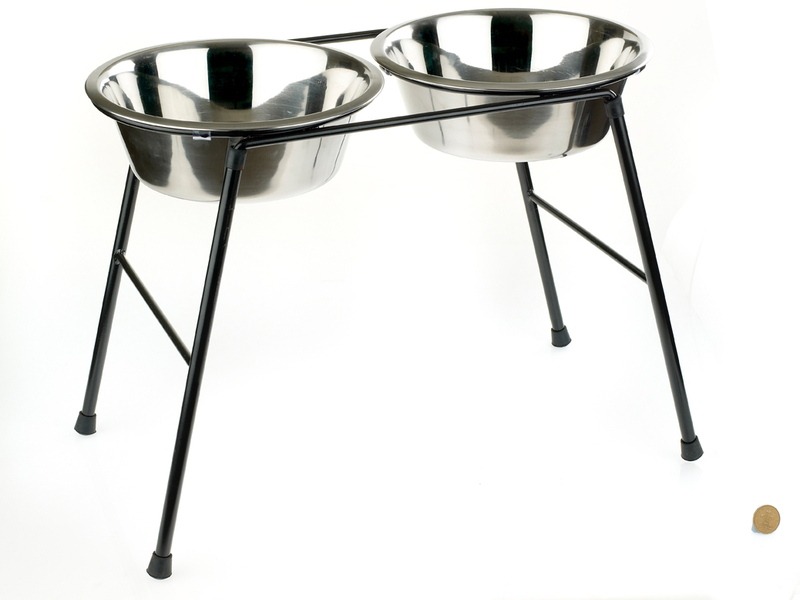 Below are some recent questions we've received regarding Classic High Dog Bowl Stands Stand, including answers from our team. 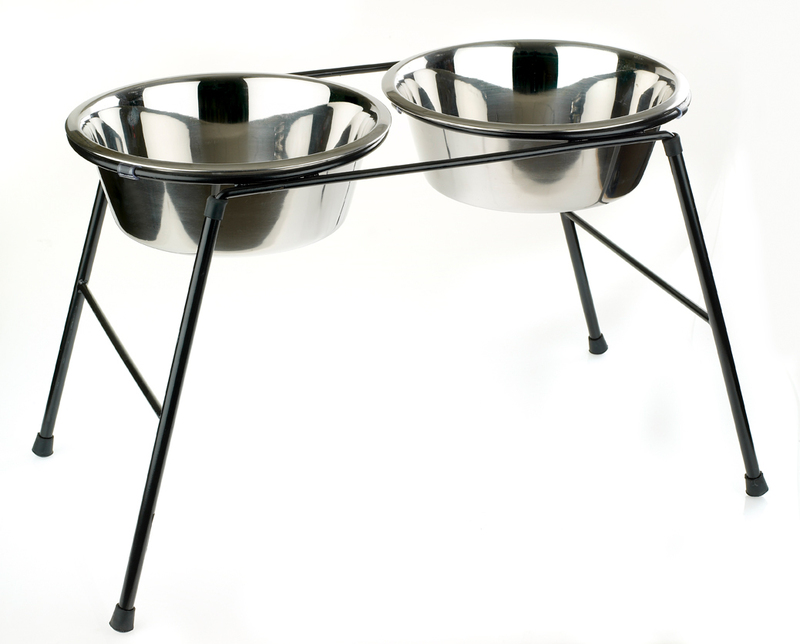 I am looking to purchase a twin classic high dog bowl stand but am not sure what size to buy. 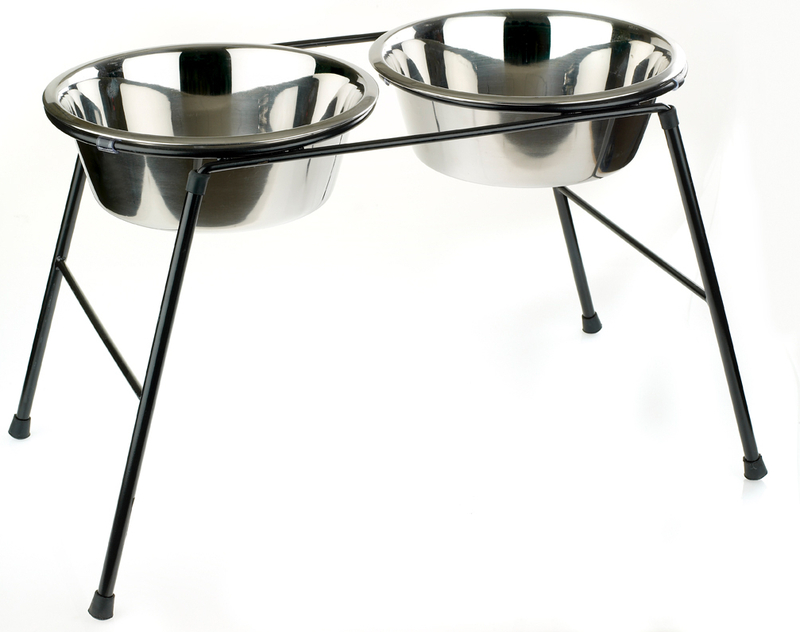 I think the 1600ml bowls will be fine, but will this stand be tall enough for my large border collie? 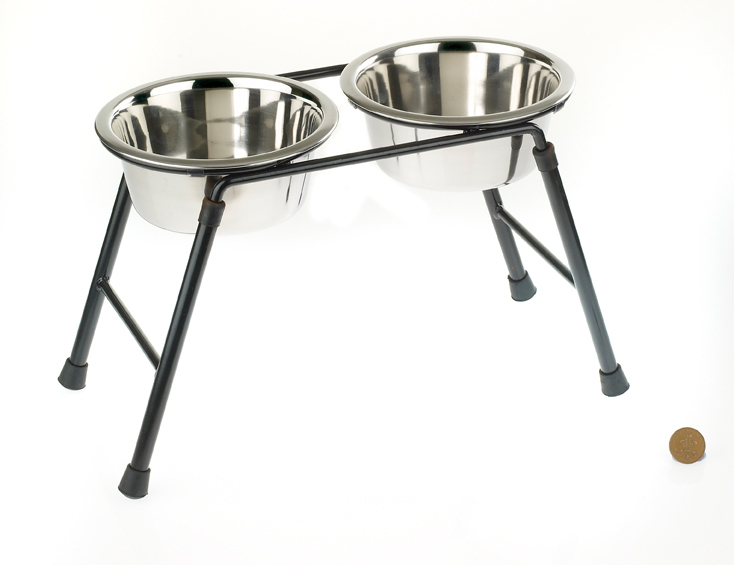 I have this particular product for my German Shorthaired Pointer and it would absolutely be tall enough for a large Collie dog. 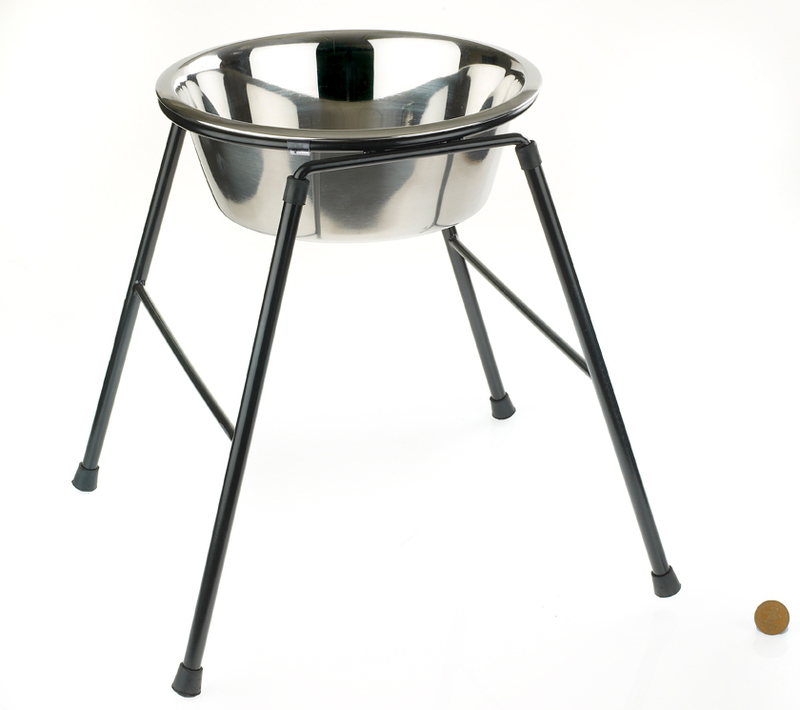 The bowl capacity is perfect for larger breeds. 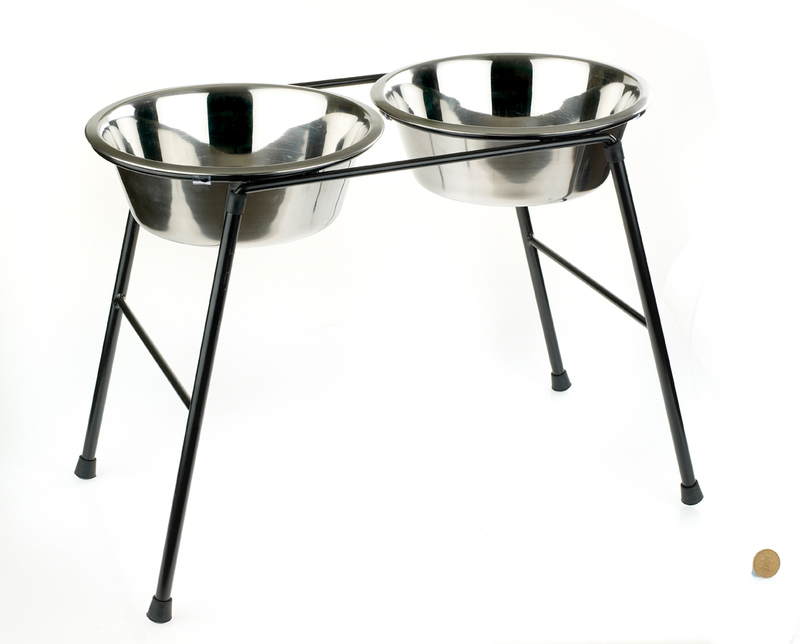 What are the diameters of both the 2.5lt and 4lt bowls? The 2.5 ltr is 32cm wide and 8cm deep and the 4 ltr is 25cm wide and 8cm deep.